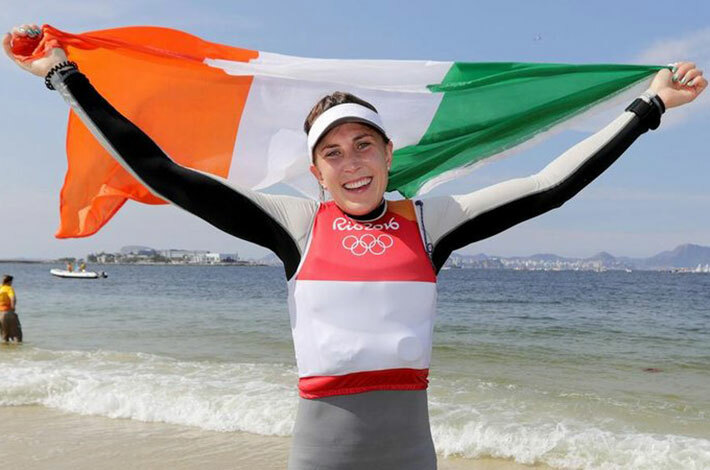 We here in ASLI are delighted to announce that last week, Annalise Murphy, daughter of our Chief Pilot Captain Con Murphy, won silver in sailing at this year’s Olympic Games. Con’s daughter is just 26 years of age and this was the second time she competed in the Olympic Games. In 2012 Annalise came heartbreakingly close to winning a medal by finishing fourth in the London Olympics however, as they say, every cloud has a silver lining and Annalise was most deserving of this feeling in Rio. Both Con and his wife Cathy are enthusiastic sailors themselves so it is no surprise where Annalise gets her love of sailing from. Annalise’s mother Cathy competed in the Seoul Olympics in 1988 and father Con is a former Olympic Sailing Coach and holder of the Round Ireland Sailing Record. Annalise’s competition began on 8th August in Rio where Con attended the Games as an Olympic Sailing Technical Official. Captain Murphy has worked with us here in ASLI for over 15 years and we can only imagine the pride he and his family felt as his daughter took to the podium and accepted a silver medal for Ireland. We here in ASLI are extremely proud Annalise and delighted to share this experience with the Murphy family. Go Team Ireland !